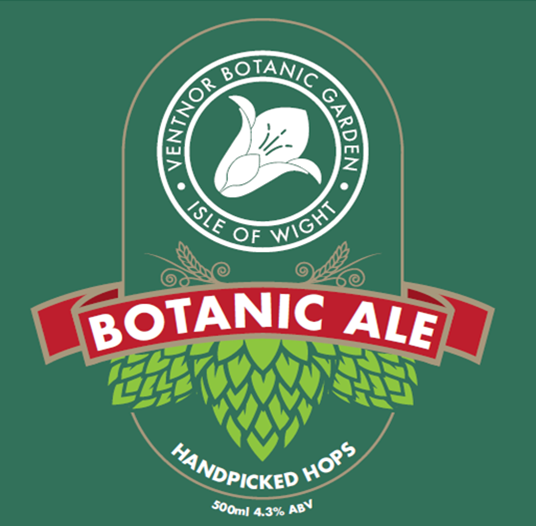 Ventnor Botanic Garden has resurrected the centuries old tradition of hop growing on the Isle of Wight. Starting in 2009, we became the sole specialist grower of hops on the Island. Hops are truly ripe on a single day each year, so our Botanists keep an hourly vigil over the hop rows in late August. On the chosen day a call goes out to our Friends and Volunteers and a community harvest begins. 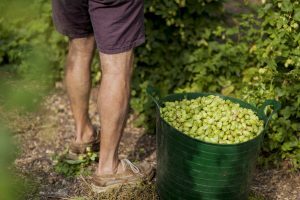 You’re welcome to join us picking or at our Hops Festival, just watch our website for dates. Our Original Ale was launched in 2013. Described as “Light golden with a small, off-white head and effervescent during pouring, the hops on the nose are punchy and earthy with light apricot fruit. The hops turn piney and slightly spicy on the palate, with the apricot taste cutting through, but work well with the juicy malt…it’s a pleasure to be drinking something with a distinctively British taste, yet a clearly artisan style…” Darren Norbury, Beer Today. 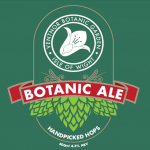 To buy your Original Botanic Ale follow this link to our shop. In 2015 we launched our Limited Edition American Pale Ale. Working with our friends at Goddard’s Brewery here on the Island we have created a strong ale, charging VBG’s green handpicked Sovereign Hops in alongside dried Cascade and Admiral Hops in the style of the new American craft beers. Some say it had something to do with the accent of VBG’s Director. Our Botanic Pale Ale is a beer with a mission – each one you enjoy supports the Island’s only botanic garden. To buy your Limited Edition Botanic Pale Ale follow this link to our shop. 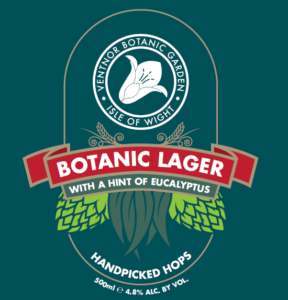 In 2017 we’re excited to have launched our first Botanic Lager with a hint of Eucalyptus. We have chosen to work again in partnership with Goddard’s Brewery to develop this new addition to the Botanic series. Head Brewer at Goddards, Nigel Eldridge, explains, “I have rarely enjoyed tasting a lager in development as much as this one. The eucalyptus is innovative and refreshing. It complements the Boadicea hop’s flavour notes beautifully.” This hand crafted lager is brewed in small batches of 3,300 litres ensuring full attention to detail is given to balancing the delicate flavours or this exciting new beer. To buy your Botanic Lager follow this link to our shop.